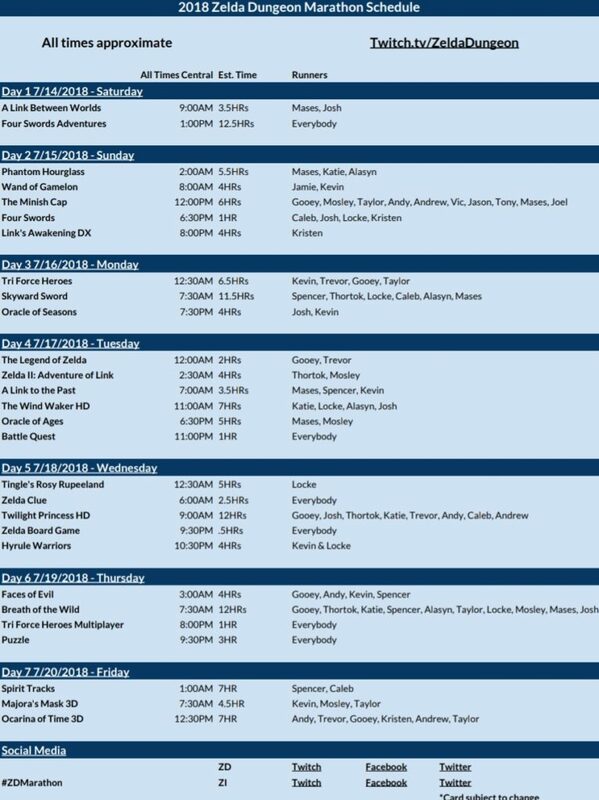 Check Out the Zelda Dungeon Marathon Schedule Here! 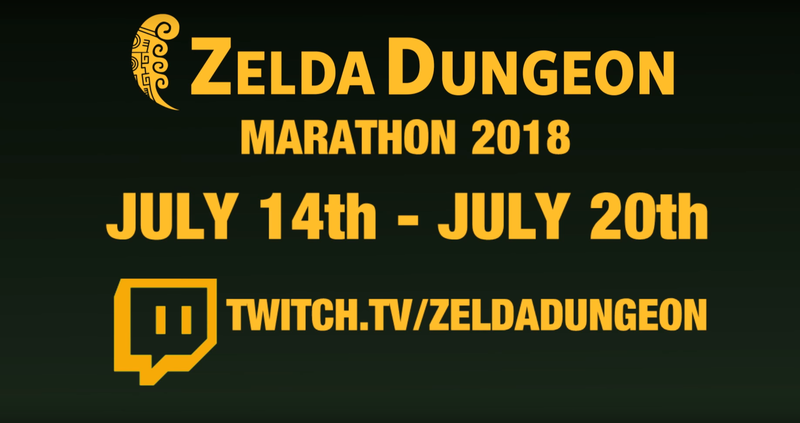 The Zelda Dungeon Marathon draws ever closer and the line up of runners and their schedule of Zelda games and timeslots can be seen here! The Marathon will kick off on Saturday 14th July at approximately 9am (central time) with Mases and Josh running through A Link Between Worlds. This will be followed by more of Zelda Dungeon’s own returning runners, racing through your favorite Zelda titles over the duration of seven fun filled days! This year’s Marathon will support Extra Life! So come check us out on Twitch and keep up to date with #ZDMarathon on Twitter and Facebook!